Vegetarian Villa in Jurong West perhaps is no stranger to anyone who lives in the vicinity. Having said that, this vegetarian eating place is always full of people despite having both indoor and outdoor seating, which leaves us to sharing table in most of my visits. With variety of food listed on the board before entering the restaurant, you roughly get the idea what are the items available for the day and which was being sold out. 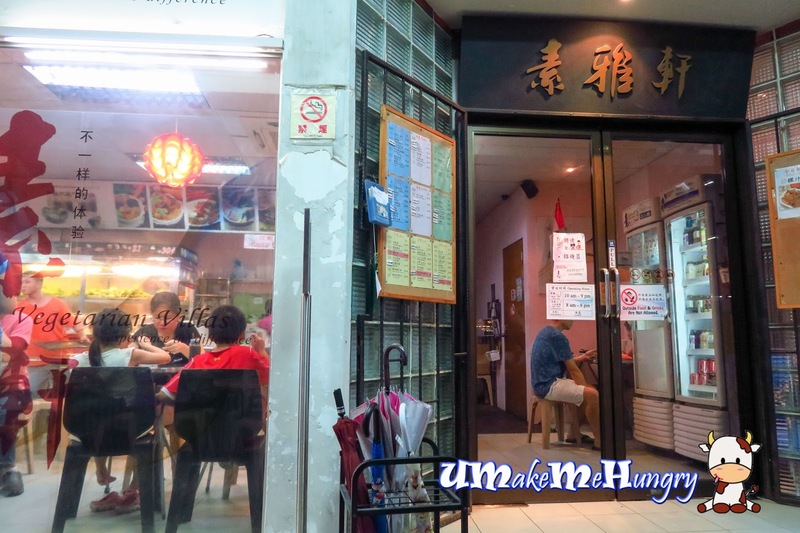 Other than these daily specials, they have a fix vegetarian Yong Tau Foo Items that is available at all times. Satay gravy over the plate of Bee Hoon was milky and came with hints of lime flavour. Ingredients like mocked prawns and kang kong was used. 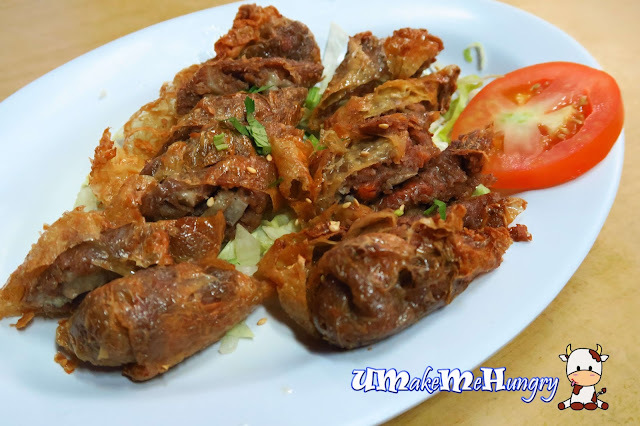 3 sticks of Satay is given and the texture indeed resemble the softness of a marinated meat. You kind of get the idea they are imitating chicken and mutton satay here, however if you did not take further notice to the food, you may have mistaken them for the real ones instead of mock meat. Prawn Roll was one of the common items we ordered every visit. They were crispy fried and served in its golden's brown color with taro fillings and other items. 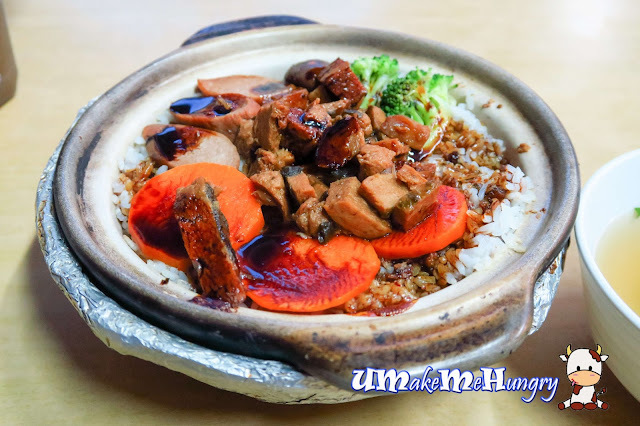 Claypot rice was one of the "hottest" item that we can see on many tables. 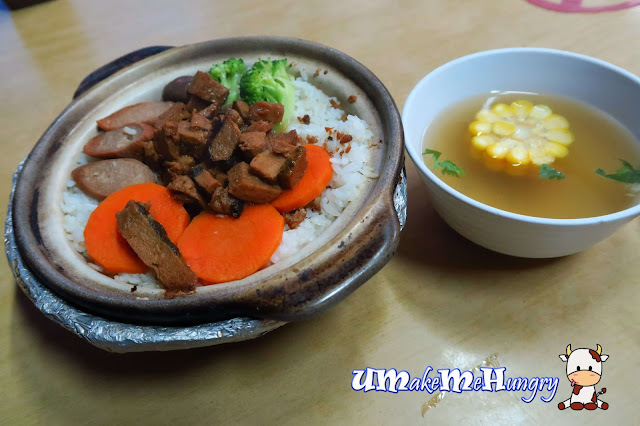 It comes with a bowl of herbal soup with a portion of sweet corn in it. Black sauce is available at the sauce counter and you can add them to your food if you like. Ingredients include carrots, broccoli, mocked hot dog as well as diced mocked meat. They are one of the few vegetarian places that I will very much like to make a return visit for their varieties are appealing and having said that they have been maintaining their popularity of Vegetarian food in Jurong West for a long time.